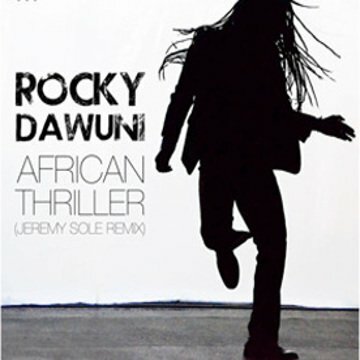 “African Thriller”, the first single from African music star Rocky Dawuni’s GRAMMY nominated album Branches of the Same Tree, was launched worldwide in July 2014. The single announced the Ghanaian star’s signing to the Cumbancha record label, which released Rocky Dawuni’s new album in mid 2015. “African Thriller” embodies Rocky Dawuni’s unique “Afro-Roots” sound, a funky blend of soul, pop, Afrobeat and reggae grooves that have made him a household name in his native Ghana and earned him a wide following across the globe. KCRW DJ Jeremy Sole remixed the single, and the stunning video for the track continues to make waves around the world!